You saw our review HERE. Are you ready to win your own John Boos Cutting Board? Here is your chance! This cutting board is the perfect gift for every chef (or just home cook) on your list! I would keep this. It would come in handy in my kitchen. This I may keep but I want to give it to my son and his wife. I would totally keep it! I love wood cutting boards, but would like to have one for meat, one for fruits and veggies. 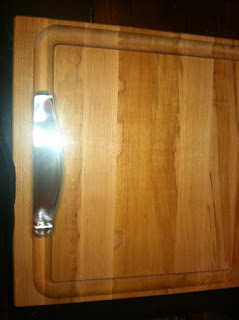 The pull-out tray is way cool, it's a gorgeous cutting board, could be used as serving piece...I want it please! I'd give it to my mom and dad. They love to cook together. I would keep this cutting board for myself. I would keep it for myself! Right now the only one I have is plastic, and I could really use this...it's a really gorgeous, high quality cutting board. I love it! I may give it to my foodie husband for his birthday! I would gift it to my sister for her upcoming birthday! I would give it to my daughter as a gift. I would keep it for myself I could really use a new cutting board! I would love a new cutting board. I would keep it, we could definitely use a new cutting board! Keep. I need a good cutting board. Now I use plastic plates for chopping veggies. I would keep it. I could use a good cutting board. Ahh, I know it's the season for giving but I think I would keep this one. It's too beautiful!! I would probably give it to my sister for Christmas, she's the family chef. I would give it to my son, he is a cook and uses one all the time. I would keep this because my last one broke and I have been using a cheapy plastic one for a year now! I would keep this. No one i know needs one like i do. I would keep this beauty! We need a good cutting board. Thank you! 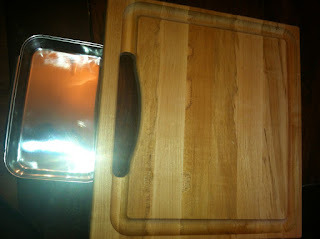 I would keep it-I am in desperate need of a good cutting board! I would give it to my sister, who is an aspiring chef. I was looking for a new cutting board! This one looks great! I would gift this to a family member who got engaged a few months ago! Keep!! =D It's too nice to gift to someone. I cook lunch and dinner every day for my husband and I. We are on a budget and we only go out for "special occasions." Because of this, I really want a great cutting board and the John Boos cutting boards are the best. I would definitely keep this for myself! I'd keep it, I'm in desperate need of a new cutting board. I would keep it. My bamboo cutting board is starting to splinter, sadly. i would keep it my cutting board has seen better days! My daughter just got her own apartment so I would gift it to her! I would probably keep this. I would keep it. I'm a new mom and cook so this would be great! Pretty sure I would gift it...it would be great for a few people I know. I need a new one so I would keep it for myself :) Thank you! I would keep this. I need a good cutting board. Keep it. :) We have another Boos that we love. I think I would give it to maybe my dad. I think he'd really like it. Keep it! I've been wanting a Boos cutting board for awhile! I would keep it. Would be great for chopping up my veggies for dinners. Thanks! Our cutting board has just about had it, so I would keep this for myself. I would keep it! I'm a student on a budget and would love to finally have something fancy for my kitchen. I would keep this and throw out my old cutting board. I'd keep it! It's beautifully made and I like the handle. I would give this to someone. It would make a great gift. I would give it to my husband- he is the chef in our family! i have my old faithful john boos...but i know someone who'd give their eye teeth for one, so if i win, this will be a gift! I would have to keep it, my last one broke 2 days ago, this would be awesome, I wouldn't have to buy a new one!! I will be giving it away as a Christmas gift. I'd keep it. I need a new one! I would keep it for myself. I've been needing a cutting board. Thanks for the giveaway...would be a great addition to our kitchen prep area ! I have to admit I would probably keep it as the one I have now is in pretty bad shape. 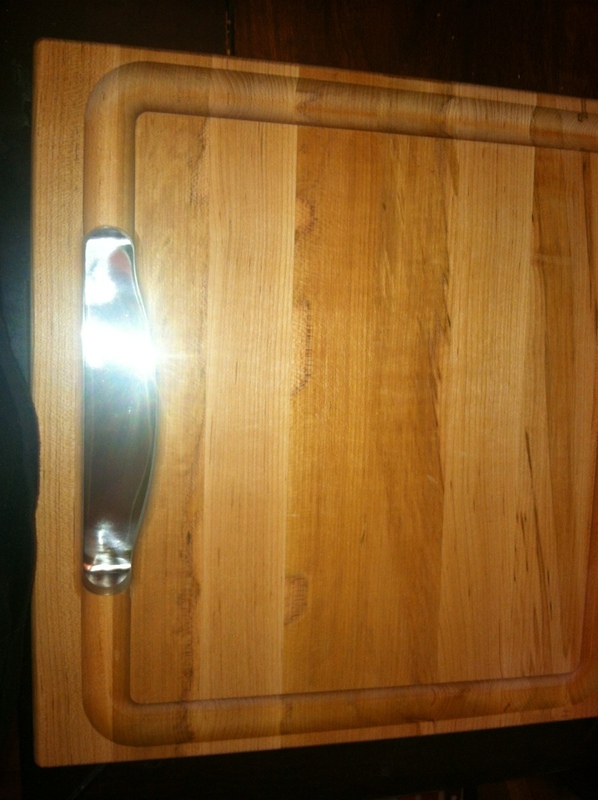 I have had my current cutting board for 15 years and really need a new one ! !